Denon A1UD via Denon Link4 to Denon AVP-A1HDA. Bel Canto Ref1000 x 3 power amp for front L/C/R. XLR to S1 - ?? XLR from S1 to SS2 - ?? Listening sofa is a red IKEA augmented with Earthquake amp/shaker combo. 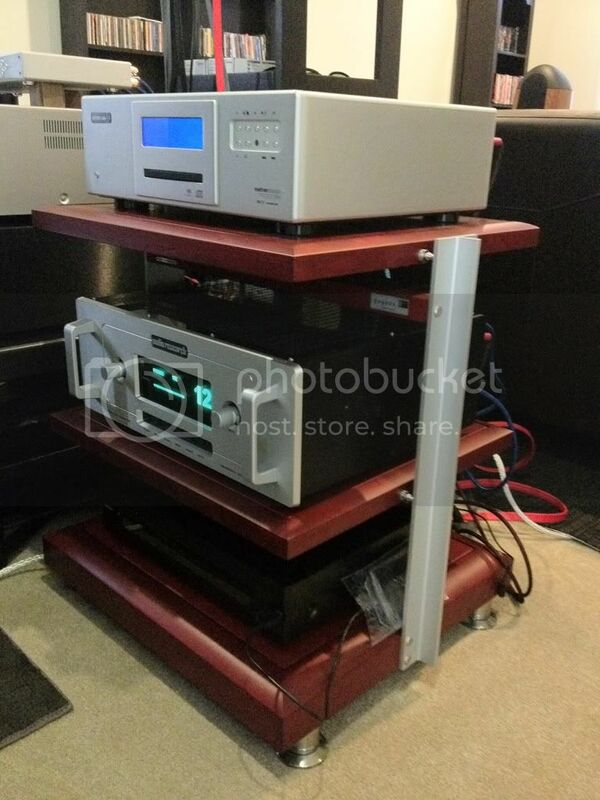 For audio, Plinius CD-101 with Plinius 9200 integrated amp, both with Acrolink 4030 power cords. Mogami 2803 interconnects and mogami 2804 speaker cables. speaker cable is Synergistic Research Vortex. Home Theatre, powered by Onkyo 805, ur usual BR & HD-DVD players involved, speaker cable is Chord Carnival. 6 ft with 2 ft from either side walls. Also 30 inches from the back wall. Listening position is 7 ft away. This is not yet finalised as have yet to get a proper listening chair. I will probably pull them another 6 to 12 inches apart and push them back a bit. No curtains as yet as well. Still work in progress. Everything is sitting on granite slabs excess from house renovation. Speakers Positioning : 5 Feet away fm rear wall, 4 feet fm side wall & 8 feet apart each other, no toe in. Source:1)Shanling cda10t. 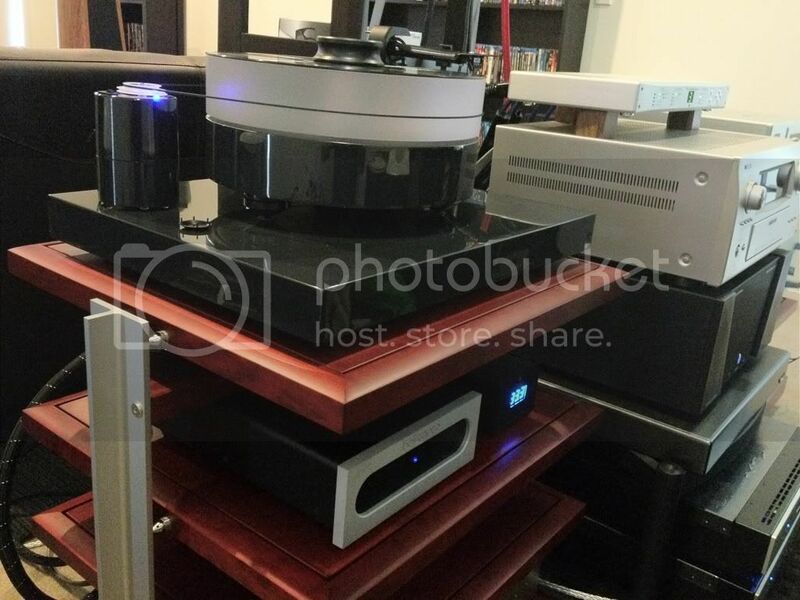 2)Ipod/Wadia/Monarchy dip/PS audio DL lll cullent curcuit level 4. Powercord jps ac dgtl to cdp.No brand shielding pc for ipod/wadia etc...Dgtl interlink stereovox xv2,analog rca Xindax fa gold.xlr 'the music cable'. Preamp:Bel canto pre3 .Pc xindax fp gold.xlr 'the music cable'. Though it's for the newer CS3.7s, I figured what he said applies to the 2.4s as well. Now: Delicate and airy, lots of air, cymbal will materialize in the room and linger ever so delicately in air. No shrill, no etch. Previously: Nice out of the box, beat the 7.2 in delicacy but rolled off too fast. Not airy enough, not open, not delicate enough. Now : They are able to render instrument realistically now and put instruments right in the room. As the speaker opens up even more, I expect the realism to get even better. Previous: Sweet out of the box, matches some big names I have heard, even the 7.2's, unfortunately, not realistic enough at first. Now : Integrated with the mid and high; tight, accurate, low and rich. Timing now is wonderful. It can get "low" enough to rumble underfoot (we have cement floor) but still accurate. Previous: Nice out of the box but seemed a tad "laid back" or "slow", just a hair off pace. It also seemed disjoint at first from the rest of the sound, not well integrated. So far, the mids and highs are pretty much as I remembered in the showroom, but the lows.. were well.. different.. guess the owner hit it right on the head: "slow and off pace". As much as I love the SmartSubs, I can't help but wonder if I'll get as good a system by getting a full Audyssey standalone box (one that does 7.1 not just the .1) with a regular SVS. That said, the SCS4 looks interesting China-sourced components (lower cost), similar coax as the Thiel CS3.7 (according to John Potis) and hand-finished/assembled and QAd in same US factory. Saved my pennies for years!! Fell in love with the CS2.3 coax when I first heard it. The CS2.4 is way better. i think Thiel have a hidden gem in the SCS4, especially if the listening area is small. I plugged it in to replace one of the 1.6, sonically it's as good. Then again my ear is not exactly the sharpest when it comes to hearing.. Audio...I got yours correct or not? nope. now i remember he's got the same MCS1 as surrounds. heheh. the SS2 is what impacted me the most. Someday I will get CS3.7. I have a question, hope someone here can help. 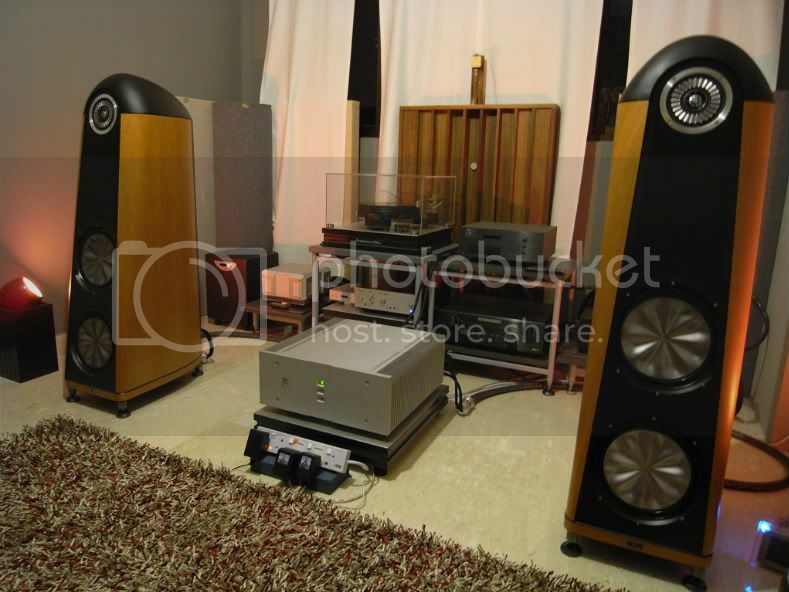 I want to get MCS1 for my center and get one SCS4 (together with my current SCS4) for my sides or back speakers. How is MCS1 compare to SCS4 for center? Is it better? The SCS4 starts with a 6.5-inch metal mid-woofer coaxially mounted with a 1-inch high-output tweeter—a tweeter very similar to that used in the flagship CS3.7. In fact, the mid-woofer combination is the same unit as used in Thiel's PowerPoint speaker. I think the MCS drivers are similar to the CS2.4. 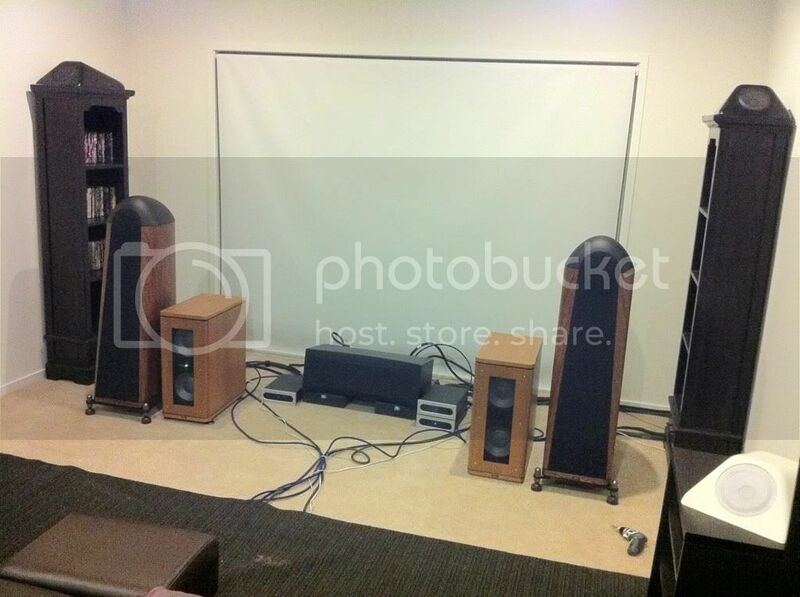 And there is supposed to be a center speaker matched to CS3.7s in the works (2009 release). I guess that puts the SCS closer to the CS1.6 in terms of matching. MCS1 and CS2.4 share similar coax units. The MCS1 is bit more dynamic as it uses 2 6.5" midbass/woofers as oppose to the CS2.4 8" mid/woofer.